Philips Hue launched in October 2012, "marking a new era in home lighting" according to its makers. Back then, it was almost impossible to dispute its claim of being "the world's smartest bulb". Fast forward three years and Philip's is still, without doubt, leading the way in LED smart lighting. That said, there is an ever-growing army of rivals to its crown. 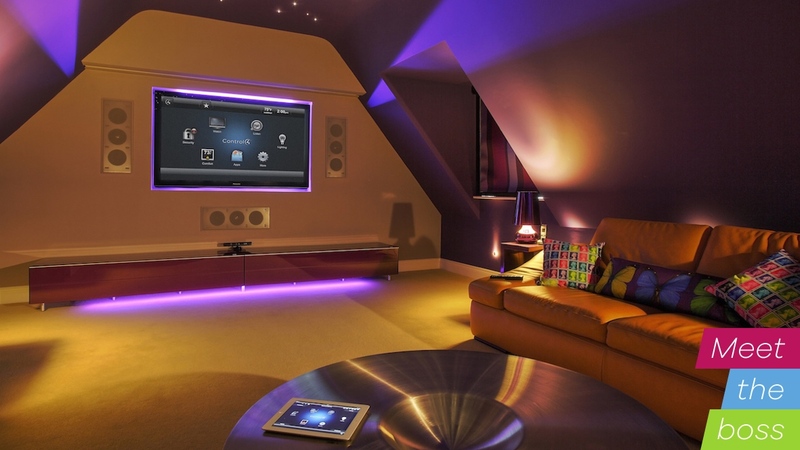 The likes of Misfit, Belkin, MiPow, Sony and LIFX all have Wi-Fi connected lighting in their armoury and, with smart home systems such as Brillo and HomeKit making it easier than ever to connect traditional household items to the net, the pressure is well and truly on. George Yianni, the inventor of Hue and current head of Technology and Connected Lighting at Philips, isn't worried by the threat though. Speaking to Wareable at WebSummit 2015 in Dublin, he told us that he is more concerned with the negative impact of potentially inferior products on how people see the category of connected bulbs. "When we launched, we were the first and we were pretty much alone for a year," he explained. "Then a few more came in and now there's a whole bunch from everywhere. "Every new product out there that does marketing about why you might want smart lighting, in turn, helps us," he continued. "It just helps to create awareness. "That said, there are a lot of crap smart lighting products out there. That is a problem as it destroys confidence in a good product like ours. So our main concern is not competition, it's others giving people a bad impression of these kinds of products." The fault with these Hue alternatives, according to the man who essentially created smart lighting for the home, is twofold. Not only are they concentrating on the wrong input methods, they're also getting the lighting basics wrong. "What you see is that almost all of them are solely concentrated on control," Yianni told us. "And while lighting up a room using your smartphone is fun it doesn't make your life any better. It's a lot more about making sense of what you want in certain situations in your home. "We're actually moving away from smartphone and tablet controls as a main method of control, and moving towards switches. Apps are great for creating themes and settings, but as a main method of control they are not brilliant. "The basic thing you want from a lightbulb is for it to give good light," he added. "Many of our competitors don't even do a good job of that. We give you great quality white light that is better than what you had before; light with the right spectrum to affect your biology; change hormone production to help you wake up or go to sleep better." Philips Hue is now a huge part of the smart home revolution as the range is compatible with all the major platforms, from HomeKit, to Nest Weave, to Samsung's Smart Things. The original offering – essentially smart lightbulbs, a hub and a mobile app – has evolved into a multi-format, multi-use system with a vast array of bulbs, strips, lamps and outdoor light bowls in various shapes and sizes. These can be controlled by an ever-growing list of input methods; from apps, to IFTTT recipes, to physical controls that take the place of your regular light switches. "We're making sure that everything we build is very, very easy to connect to APIs and, next to that, we're also partnering with big smart home systems whose main purpose of existence is one UI to control the whole home," explained Yianni. "For me, the more interesting smart home setup is where two or more products talk to each other to do something sensible and automatic. Natural use cases, where it's about the home supporting people." Yianni described one such combination, whereby the Hue lightbulbs in every room turn red in the event of a connected smoke alarm being activated. In that scenario, not only would the red light immediately signal danger throughout the house but red light actually penetrates smoke better, because it scatters the particles, thus making an exit from a potentially fatal situation easier. "We need to transform peoples' minds," he said. "We need them to see lighting as more than just illumination."